New type of T cell shows insights to eradicate hidden HIV pool. A specialized type of white blood cells was discovered by international team of scientists that can find hidden infected cells in tissue and can destroy them. 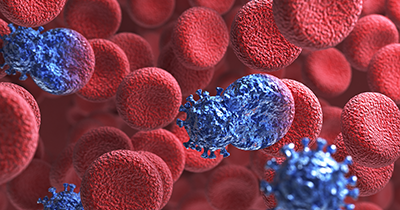 The recent discovery published in the journal Nature Immunology can provide new insights to find new treatments for chronic infections like HIV. The problem of chronic illness like in HIV, the virus tends to hide from the immune system. Although there are anti-retroviral drugs which are much effective but the medication is lifelong with no hope of getting cured. Dr. Yu Di, Senior Research Fellow from Monash University, Australia who is the corresponding author of the study mentioned that T-cells are naturally produced by the body during infection; however their numbers and efficiency to kill need to be boosted to eradicate such chronic infections. In this research, they discovered specialized killer T cells called follicular cytotoxic T cells can enter the hiding spots inside lymphoid tissue where viruses like HIV conceal themselves during treatment. This specialized T cells can eradicate this hidden virus pool. Professor Sharon Lewin who is the co-author of the study added that there are few ways the discovery could be translated to treat people from chronic infections. “We could potentially transfer these specialized super potent killer T cells into patients, or we could treat patients with proteins that can drag these specialized killer T cells into the right spots, specifically to the hot spots where HIV can hide during antiviral treatment,” Lewin said.